The Obama budget calls for limits on annual amounts that individuals can contribute to tax-advantaged retirement plans. Earlier this month, the Obama administration released its proposed 2014-2015 budget. The ensuing discussion focused primarily on new spending packages for growth and investment and a limit to the itemized deductions that would be available to high-income households. The budget also reintroduced the so-called Buffett Rule, which would require people making more than $1 million to pay at least 30 percent of their income in tax, no matter how many deductions they claimed. These would obviously have a great effect on tax planning for high-net-worth individuals, but there’s another, less-mentioned aspect to the budget that could also affect their estate plans, reintroduced from the Obama budget for 2013-2014. In order to help pay for the additional investment without increasing the deficit, the budget plan calls for limits on the annual amounts that individuals can contribute to tax-advantaged retirement plans. That includes both 401(k)s and IRAs, as well as 403(b) and 457(b) plans. 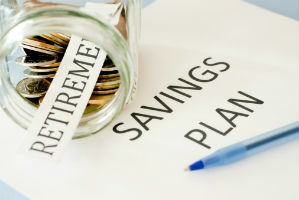 The budget doesn’t establish a limit for that amount, but sets forth a formula that the saver would use to fund a so-called maximum benefit annuity at age 62. For 2013, that maximum benefit would have been roughly $205,000 in a joint and survivor annuity. The age of the saver, the inflation rate, and current interest rates would also figure into the formula. In 2013, a 40-year-old would have been able to put $1 million into tax-advantaged retirement plans, while a 62-year-old could have put up to $3.4 million. Anything more than that would not get the tax advantages these plans offer. And if interest rates rise, that maximum could drop to $2.2 million, with limits for younger ages dropping accordingly. The impact on those people could be substantial. The EBRI calculates that a person in the top one percent of 401(k) balances would have retirement savings reduced by 10.5 percent under the Obama plan. The top 5 percent would lose roughly 5.5 percent of their savings. That again is figured at the current discount rate. If that discount rate rises, which it is very likely to do, the amounts get even higher. At a 6 percent discount rate, the top one percent lose 14.1 percent of their retirement accounts; at an 8 percent discount rate, they lose 25.6 percent. So obviously, it doesn’t take much for this small change to have a huge impact on affluent people’s retirement plans. But nearly all savers would be affected if the discount rate gets high enough. When the discount rate reaches 8 percent, the EBRI estimates, between 70 and 80 percent of the participants would see some reduction in their 401(k) balances by the time they reach the age of 65. What is the payoff for such a plan? The Obama Administration estimates that it could save billions of dollars in tax revenue over the next ten years, with taxes being paid on income now going into extraneous tax-advantaged retirement plans. What are the odds of the plan becoming law? It’s already been proposed once and not gotten anywhere, but there are a couple of factors that could make it more likely to pass in the future. There is a Congressional election this fall, and if the Democrats hold on to the Senate while somehow also capturing the House of Representatives, Obama’s proposal could suddenly find a more positive reception. Similarly, if serious deficit-cutting comes back into vogue, the retirement restrictions could become a compromise method of raising revenues without raising anyone’s taxes. The odds are still long, but for high-net-worth individuals, especially younger ones with a lifetime of contributing to a 401(k) or IRA ahead of them, it’s worth keeping an eye on.